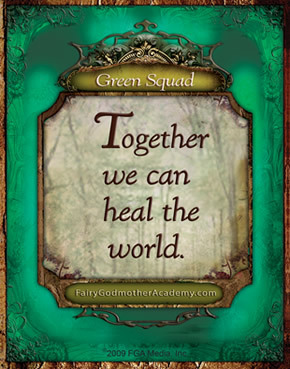 Green Squad: Fall FeastEat local, seasonal food to help heal the green world. One super yummy way to save the green world is to eat local, seasonal food. Local food doesn’t have to be shipped huge distances to reach your table, which saves energy. Eating local food helps local farmers, andthey take good care of the earth. Seasonal food is good stuff that plants make in their own sweet time, like crisp apples in fall, or the perfect sweet strawberry in summer. And plants know best; fruit and veggies grown in season are better for you and taste amazing. You don’t have to (and sometimes can’t!) get everything locally or in season, but it’s fun to find what you can and it connects you to your world. 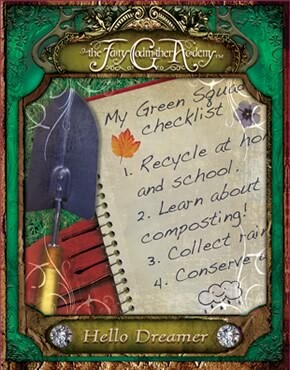 Get together with your Green Squad and learn everything you can about the food that grows in your area. Then share what you know with family and friends, and invite them to try it out! 1. Find out what grows in season where you live. Go online or ask family, friends and neighbors what they know about local, seasonal food. You can look for fruit, veggies, nuts, herbs, baked goods and even locally-raised eggs, meat and dairy. In very cold (or hot!) places, food may already have been harvested for the season – so look for dried, frozen or preserved goodies like local honey, sun-dried tomatoes, pickles and jams. The most local food of all comes right from your own garden! If you don’t have a garden, you can go on a search for food grown close to home. Look for nearby farmers who grow the food you’ve learned about. Search online for local farmers’ markets or CSAs (farms that deliver weekly boxes of produce to you for a fee). Getting your food right from the people who grow it is really fun, and you can learn a lot from them. Look for recipes, too. Use this cool guide to find farms in your area that will let you pick your own veggies or fruit right from the plant. You can even find pick-your-own pumpkins and Christmas trees! If someone in your family loves to cook, look for local food at your grocery store and try adding it to a favorite recipe. If your family isn’t really into cooking, you can support people who are: chefs! Local restaurants often have seasonal dishes on the menu. Some even grow their own food. Ask around! If your family has lived in the area for a long time, chances are good that there’s an old family recipes that features local, seasonal ingredients. Try one out together! If your family just moved to where you live, help them put down roots by asking friends at school for family recipes that use local ingredients. You can also go online to search for recipes that use the food you want to try. The best part of food is sharing. Put up posters, make a hand-out, or email or blog what you’ve learned. You can write about seasonal food, local farmers and restaurants, and even share recipes. Invite people to try it out for themselves. You and your Green Squad may start some new fall food traditions! I totally agree with the first part of this wisdom act. we hafta help the earth the best we can! Again, wonderful wisdom here – and fun, too! Thank you, Jan Bozarth or whoever has written all these Wisdom pages! Here one of our local crops is available only once every four years or so. In March every year, the first fruit trees to flower are the apricots – those beautiful trees filled with white blossoms are one of the early signs of spring. But most years, after they’ve flowered, we have more snows and hard frosts; the hard frosts, especially, can kill the developing apricots. (We’re at a very high elevation, so even though we’re in the Southwest, snows can come as late as May.) But oh! the years when we do get a crop, everyone goes wild picking apricots! The crops we’re probably most famous for are chili and pinon, but I think our apricots are even more special. So tart and good!